Twitter, as we all know, is a very popular and growing social media site. It only started in 2006 but it is very popular now (You should really try it out if you haven’t!). So if you are an active twitter user, here are 10 ways to improve your twitter, most of which you hadn’t done. In case you didn’t know, DMs are Direct Messages. And they can be automated. So whenever you follow a person who has automated DMs enabled, you get a “Welcome” DM from them, which isn’t genuine. So, why not block it? If you do so, your twitter inbox would be much cleaner. You would only receive genuine DMs. Here are the steps to block ‘em. Must be done in that order. For more information of opting out of auto-DMs, click here. And now that you have gotten rid of all the spam, you can enable email notifications now. Now you will be notified every time a person sends you a genuine, personal direct message, via email . If you send out a reply starting with ‘@username’, a big bunch of people is not going to see that reply, unless they are following you and the person to whom you are replying. or with a full stop. A custom twitter background is cool and pretty (Much, much better than the default one). It also gives your profile visitors some information about you. Plus, it gives more evidence that you are a human and not another bot, which most people don’t like to follow. Here is my example of a twitter background. Click here for 10 websites to look for stunning (and free) twitter backgrounds. If you don’t think you have the time to create a twitter background, you should at least tweak some of your twitter profile’s colors. Default twitter colors are just too…default. Go to Settings >> Design >> Change Design Colors to do that. Well, sometimes it’s easy to miss tweets on twitter when you are away. If you don’t want to miss tweets from a particular person, subscribe to their twitter feed using an RSS reader. Of course, subscribe to a person (so that it won’t mess your RSS reader up) whose updates are interesting, useful, or important, like @spam, or even celebrities. To do this, click on the RSS icon (the orange thingy) at the sidebar of a twitter profile and paste that link into your RSS reader. 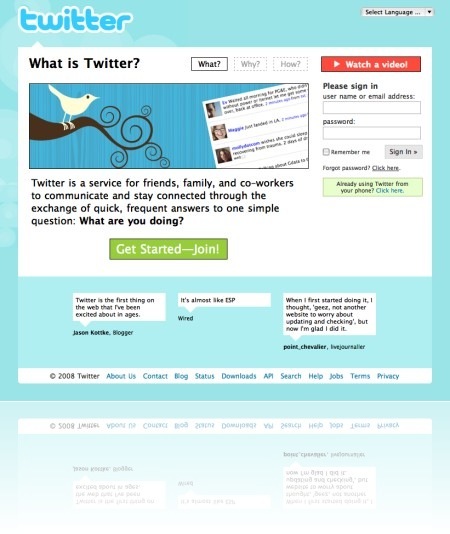 When you click the homepage link on a twitter profile, you go to the person’s website. 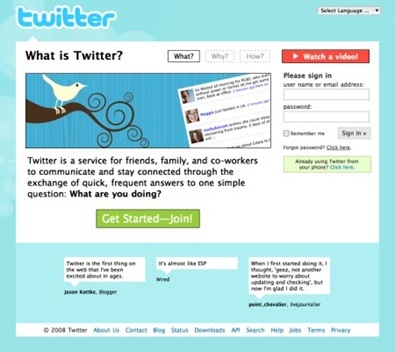 Have you ever thought of creating a twitter landing page specified for visitors from twitter? On the landing page, you can introduce yourself, your best blog posts, etc. My example of a twitter landing page. We’ll use John Yankee as an example. Get the idea? It makes your name looks less confusing and easier to read. To do that, go your twitter settings and capitalize the first letters of your name. And…you’re done! Don’t worry, twitter profile addresses are not case sensitive so you can reach http://twitter.com/JohnYankee if you type http://twitter.com/johnyankee. 8. Don’t just tweet about what you are doing! Sometimes people are not very interested to know what you are doing. Here are 16 types to tweets to tweet. 9. Come on, tweet something personal! If you tweet a lot of links and quotes and facts and stuff, you should really tweet something personal; something interesting about your life. If it is not interesting, make it interesting. Tweeting personal tweets help your followers to get to know you and your personality better. It also helps to prove that you are a real person and not a robot. Twitter is an interactive tool so it is important to occasionally tweet some questions for your followers to answer. This shows to your followers that you want to interact with them and they will probably answer your question. Use it as a research tool. Sometimes twitter is better than Google in helping you solve your problems. Example. Don’t ask questions that are impossible to answer, or they won’t be answered at all. Ask questions that are easy to answer to generate more replies. Ask questions when your loyal followers are most active. And, not only you should ask questions, you should answer questions and help people solve their problems too, which builds friendship. So those are my 10 ways to improve your twitter. If you liked this post, please feel free to share it with your twitter buddies. Do you know of any other ways to improve one’s twitter? Please feel free to share them in the comments . Well, twitter is very big now, and you have probably heard about it, but are still wondering what it is. This article is going to tell you what twitter is, how to get started, and how to benefit from twitter. 1. Twitter is like facebook, except simpler, cleaner, less complicated, and easier to use. 2. When you follow (subscribe to) someone, their tweets (twitter messages) appear in your twitter timeline (Twitter homepage). They have to follow you in order to receive your tweets, too. 3. Those messages are limited to 140 characters, for simplicity. 4. You will see links like http://tinyurl.com/blabla or http://id.gd/link2post. Those are web addresses that are shortened using URL shorteners because of the 140 character limit, so that everyone can share links. 5. Twitter is what you make it. Twitter is a tavern. You walk into a crowded bar and there are all kinds of conversations going on. At first it sounds like a lot of noise, but if you listen closely you’ll realize these conversations run the gamut – deep, serious, funny, irrelevant, irreverent – you name it. Sometimes business deals get done. Sometimes you’re just killing time. You drift in and out of these conversations, but you always leave the bar knowing folks a little better, knowing what’s going on a little more. That’s what Twitter is like. By the way, some avatars are green in support for the Iran Election! To read more about these points, please head over to the article! If you don’t want to use twitter now, want to use it later, or never, you should always secure your name. You are securing your name from name-squatters. People can easily find you. If your name is already taken, using your nickname or your blog name would be good. One of the common reasons people don’t follow you is that you don’t have a avatar, or, profile photo. Uploading a professional photo of yours, and not a photo you took in the bedroom, will give you a better impression. If you are a company (or just shy), upload your brand logo. It is still better than no picture at all. If you don’t have any professional photos or logos, just use whatever photo you have. As I said, it is better than nothing at all. Another reason people don’t follow you is because you didn’t fill in your bio, web (if you have one), and name. Humility is key when filling in your bio. Don’t include any words like expert or guru. You would get more followers by being humble. Change your profile a bit to help you stand apart from thousands of other default Twitter profiles. You will look more unique and “professional”. It will also brand your twitter profile. This is what you should do to get some followers. You follow people, and they follow you back (Well, not all of them will follow you back, but if you build relationships with them they probably will). To find people to follow, go to WeFollow, a twitter directory. You can also follow the most powerful users on twitter. Or, go to http://virl.com/250.htm to follow the top 250 users that are very likely to follow you back. Here are the criteria to look for for when following people. An interactive twitterer makes friends easily. If you follow an interactive person, you are more likely to make friends with that person faster. Would you like to receive annoying tweets? No. Then, you better not follow people (or bots) who like to spam. Although they might follow you back, they clog up your timeline and make twitter life harder. Not only should the people you follow not be annoying, but they should be useful as well. If they post tweets that interest you and are helpful to you, you are going to benefit a lot from twitter. Yeah, I know, I was not following this rule when I first joined twitter. 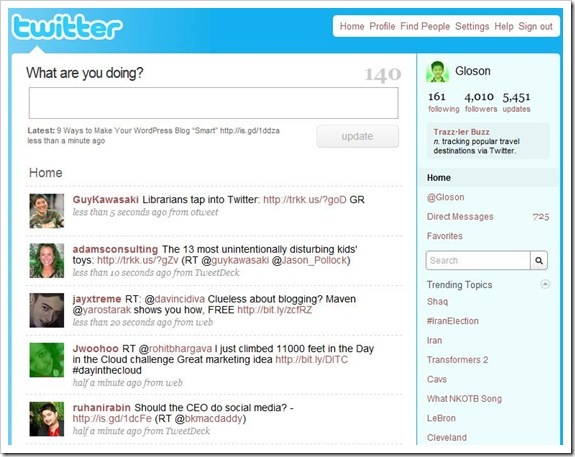 I followed as many people as I can, because twitter brought Gloson Blog lots of traffic! Big mistake. I should have stared slowly, making quality relationships with my followers. I would benefit from twitter more if only I had followed this rule. To build relationships, reply, retweet, and share (I will explain this further on). Now, it’s time to give your followers some benefits. This will make your relationship with your followers closer. You help them and they will probably benefit you in return. Finally, you should create a twitter background. You are free to put in whatever information you like there – more bio, other social media accounts, what your blog is about, etc. There is a service called twitbacks that allows you to create twitter backgrounds for free. Or, you can check out these 13 tutorials that teach you how to brand yourself with a twitter background. Now, you have learned the basics, here are more tips. Helping people is perhaps the best (and most productive) thing you can do on twitter. You make your followers and friends happy and they’ll probably help you in return. You’ll also make quality relationships with your followers, and benefit more from twitter. Replying to tweets helps to build relationships between you and the tweeters. You can thank a person for tweeting a useful articles or retweeting your tweet. You can also help a person by replying to their questions. To reply to a person’s tweet, click the “Reply” button (A little arrow) near the tweet and the person’s @username will appear in the tweet form. Type in your message and submit your tweet! If you want a person in particular to see a tweet, add their @username in the tweet. It is known as the ‘ultimate thank you’. It helps their name to go out, and therefore, they might gain more followers. You are doing a favor for them, as well as benefiting your followers too. You can also retweet via the ‘via’ way. You should only retweet stuff that would benefit your followers (Viewing links before retweeting them), otherwise they would be ‘blind RTs’. Click here to go to an article all about retweeting for beginners. Sharing an interesting tweet benefits you and your followers. Your followers benefit by learning something new. You benefit when your followers retweet you. These tweets often get retweeted (Retweeting means tweeting a tweet made by someone else and giving credit to them). So, if you ever happen to stumble upon a useful or interesting post, be sure to tweet it! Read an inspiring and motivating quote? Post it on twitter! It will motivate and inspire your followers. These get retweeted, too. Cheer up your followers by giving them a good laugh! They will thank you! Just be sure to only tweet clean and funny ones. Everyone has heard the old saying, ‘pride comes before a fall’? Be humble as you can. For example, do not tweet about how many followers you have. Pride comes before an unfollow. One thing I like about twitter is that you can ask questions of your followers, and (most of the time) get useful answers. Asking questions shows that you want to engage with your followers (and build more relationships). It can be also used as a research tool. Auto DMs are impersonal and all it does is clog up your twitter inbox. If you block them, your inbox will be cleaner and easier to sort out and organize. Here’s how to block most of the auto DMs. Send a DM to him. Done! You are free of most of the auto DMs! You will still receive some auto DMs, but other robots that haven’t been blocked, but the majority of the auto DMs are gone. You can also promote your site on twitter by tweeting its articles. I usually tweet my blog post when it is just published. I also tweet some of my older articles that I think are interesting, once in a while. While it is OK to promote your articles on twitter, do not overdo it. Overdoing it can be considered ‘Spam’ and it only causes unfollows. Tweetdeck is what I call ‘The ultimate twitter client’. It has a bunch of cool features, and is simply very cool! If you are following more people than you can handle, you may want to use Tweetdeck’s group feature. You can choose whomever you want to go into that group. You can create as many groups as you want. Then, put the people you want to pay the most attention to in the ‘A’ group. And as for the people whom you are interested in but do not follow as closely as the ones in the ‘A’ group, put them in the ‘B’ group. The Tweetdeck filter is located just below the columns. It can do a lot of things. Here are some amazing things you can do with Tweetdeck filter. To find questions (or requests, or links) from the people whom you follow so that you could help them, select the plus sign (+) and type ‘?’ or ‘please’ in the All Tweets column filter. To find great links, include ‘RT @’ in the all friends column filter. Retweeted links are usually great links. You can also include ‘via @’ for more results. To find links, type ‘http://’ in the filter. Filters can be also used to find a recent tweet you read in TweetDeck that you couldn’t find. Enter keywords in filters to find specific tweets (or links). To hide all #followfriday tweets, select the minus sign (-) and type ‘#followfriday’. You can also do a twitter search in Tweetdeck, and it automatically updates the search for you to get the most recent results. Search for ‘?’ and ‘please’ (similarly to the filter) to help people whom you are not following yet to build relationship. Search for ‘RT @’ to find interesting links that are retweeted (RTed links are usually useful ones). You can also search for trending topics about what’s going on. For example, you can search for ‘swine flu’ or ‘H1N1’ to keep up with the news on the H1N1 pandemic. Well, if your computer is slow or you just don’t like the look of Tweetdeck, I’d recommend Twhirl, another twitter client. Though, it doesn’t have most of Tweetdeck’s features. Spamming means sending a lot of tweets (containing a link) merely to promote a product. Those tweets annoy your followers and they might even unfollow you. In fact, if you use twitter the right way, you will benefit more from twitter. An auto DM is an automated direct message that is sent to you when you follow someone who has auto DMs enabled. It is simply impersonal. According to a poll I saw, most people will feel annoyed when they receive an auto-DM. Some even unfollow the people who send auto-DM’s. As I said, auto-DM’s are impersonal. Setting up an auto-DM is like setting up a robot of yours to chat with people. In case you are wondering what the words with a # sign in tweets are, they are hashtags, a way for keeping track of a group of tweets (Usually an event). Some people use it to mark their tweets so that other people with similar interests can find the tweets. If you go to http://search.twitter.com, you should see some hot trending #hashtags on the sidebar at the right. In case you are wondering, #FollowFriday is a hashtag that appears in tweets that contains some @usernames. It happens on Friday and that is when people recommend their favorite people that are worthy to be followed. But now, #FollowFriday has lost its meaning and people are spamming #FollowFriday recommendations in our twitter timeline. 6. Tweet about what you are doing…occasionally. Although your followers wouldn’t like it if all you tweet about is what you are doing, you should tweet about what you are doing occasionally, because your followers would also like to have a personal view into you, and make you seem less like a robot. Ur tweets R 1 of the criteria ppl use wen they want 2 follow U. So, dont write a tweet with poor Grammar or poor punctuation! U also shouldnt write wit shortened words like dis and dat, unless if u hav 2, bcoz it’s sumhow annoying. see? 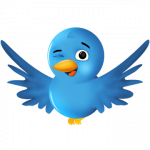 TwiTip is a blog on twitter tips founded by Darren Rowse. Read it and subscribe to it for more deeper twitter tips. You’ll surely learn a lot from it! Those are the twitter tips that beginners should know (Please add more tips in the comments if you think I missed out some!). As you go on, you’ll learn more and more about twitter. 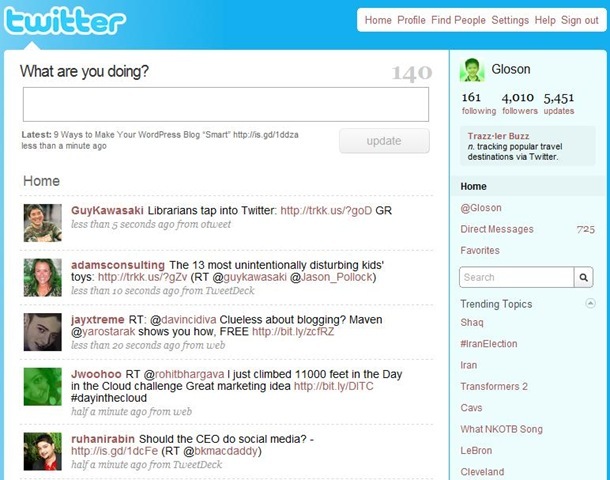 You’ll also find more twitter tools and applications that make twitter easier. Remember: Twitter is about helping and connecting with people. I hope that you will enjoy twitter and get the most out of it! Oh, and I almost forgot! To get started with twitter, click here! Photos by Trois Têtes and Kaushal Karkhanis. P.S. If you want to know more about twitter stuff and tools (and a little more tips), go here.